Drug Cultivation, or Drug Manufacturing, is the creation, maintenance, and development of illegal drugs and controlled substances. While the range of classification for drugs is wide, there exist a variety of categories pertaining to illegal and controlled substances. While some illegal and controlled substances are organic and natural in their purest state, other drugs are synthetic in nature and produced as a result of chemical processing and creation. Furthermore, while some drugs and controlled substances are legal and regulated by the Government, other drugs are considered to be illegal to possess, grow, cultivate, and develop. Origin: Marijuana seeds, also known as Cannabis, are found and naturally-occurring in nature and can be planted, cultivated, and grown. The possession of marijuana seeds or the act of growing marijuana without the expressed permission of the Federal Government is considered to be a punishable offense and a felony. Methods of Drug Cultivation or Drug Manufacturing: Marijuana is grown in plant form in a variety of methods. Marijuana plants or bushes have pointed leaves. The male marijuana plant can be cross-fertilized with the female marijuana plant in order to create the drug. Marijuana plants can be grown above or below water and can range from one to seven feet in height. Effects of the Drug or Controlled Substance: Marijuana produces a wide range of effects in the user, including lightheadedness, dizziness, confusion, paranoia, lethargy, increased hunger, and hallucination. Applicable Punishments: Varies upon the amount and the location of the offense. Associated Penalties: Probation, random drug screening, fines, incarceration, mandatory rehabilitation, mandatory drug treatment programs, and the loss of license in the event of Driving Under the Influence (DUI) of Marijuana. Drug Administration: Typically through inhalation. Can be ingested through liquid form. Means of Legal Possession or Ownership: Medical Marijuana and Government-regulated growth and Drug Cultivation are the only legal means that are permissible. Controlled Substance or Illegal Drug: Unless expressly allowed to an individual as a result of a medical prescription or a medically-sanctioned treatment measure of a disease in the form of morphine, the possession of heroin is considered to be a crime. 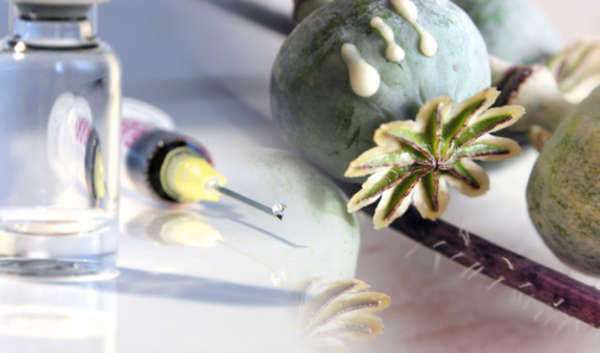 Origin: Heroin in its most natural form is developed from the Poppy plant. The earliest incarnations of heroin is considered to be Opium. Methods of Drug Cultivation or Drug Manufacturing: Diamorphine can be extracted from Poppy plants, or similar chemical copies can be created in the form of Oxycontin and synthetic morphine. Effects of the Drug or Controlled Substance: Heroin produces a feeling of Euphoria, Numbness, Lethargy, Fatigue, Nausea, and the slowing of the heart. Associated Penalties: Probation, random drug screening, fines, incarceration, mandatory rehabilitation, mandatory drug treatment programs, and the loss of license in the event of Driving Under the Influence (DUI) of Heroin. Drug Administration: Administration through intravenous needle injection, snorting, ingesting, or smoking. Means of Legal Possession or Ownership: Medically-grown Heroin and Government-regulated growth and Drug Cultivation are the only legal means that are permissible. Nature of the Drug: Synthetically produced by illegal Drug Manufacturing operations called ‘Meth Labs’. Controlled Substance or Illegal Drug: Meth is an illegal drug, which is unlawful to possess under any circumstance. Origin: Meth is created by mixing a variety of legal and illegal amphetamines with various types of toxic and noxious chemicals. Methods of Drug Cultivation or Drug Manufacturing: The ingredients of Meth include both legal and illegal substances. Effects of the Drug or Controlled Substance: Meth induces alertness, euphoria, increased heart rate, rage, increased energy, hallucinations, paranoia, and insomnia. Associated Penalties: Probation, random drug screening, fines, incarceration, mandatory rehabilitation, mandatory drug treatment programs, and the loss of license in the event of Driving Under the Influence (DUI) of Methamphetamine. Nature of the Drug: Organic in its most pure form. Typically synthetically altered. Controlled Substance or Illegal Drug: Cocaine is an illegal drug, which is unlawful to possess under any circumstance. Origin: Byproduct of the Coca Leaf. Abundant in South America. Methods of Drug Cultivation or Drug Manufacturing: Cocaine is derived from the Coca leaf found on the Coca plant. The leaf is dried, pulverized, and reduced to powder form. Effects of the Drug or Controlled Substance: Cocaine induces alertness, euphoria, increased talkativeness, agitation, increased energy, and insomnia. Associated Penalties: Probation, random drug screening, fines, incarceration, mandatory rehabilitation, mandatory drug treatment programs, and the loss of license in the event of Driving Under the Influence (DUI) of Cocaine. Individuals arrested on charges stating alleged participation of the crime defined as Drug Manufacturing should be made aware that in the event that an acquittal takes place within a criminal court, the case can be retried by the plaintiff in a civil court. Although civil law and criminal law with respect to Drug Cultivation allegations differ, the primary difference is the compensatory measures that present themselves in the event of a guilty verdict. While criminal law verdicts can impose penalties including punitive recourse and incarceration, guilty verdicts in the scope of civil law can only render financial and monetary restitution. Controlled Substance: A drug or substance that is considered to be legal in the event that it is possessed by individuals legally prescribed or allowed its use. Controlled substances include pharmaceuticals, taxed items, and other items that require expressed, governmental permission for their possession and/or usage. Illegal Drug: A drug or substance deemed illegal to possess or use by the officiating government. Drug Trafficking: The distribution or subsequent commercial activity in conjunction with illegal drugs or unlawfully-possessed controlled substances. Drug Possession: The act of owning or holding of an illegal substance on an individual’s person. Drug Enforcement Administration (DEA): A Federal Department of the United States Government that handles the enforcement, investigation, and apprehension of any and all activity pertaining to illegal substances, drugs, and unlawfully-possessed substances. The right to be brought to trial and appear before a jury of one’s peers in order to determine fault and liability in a Drug Cultivation case. The procedures and legislation implicit in the process of the investigation and lawsuit with regard to a Drug Manufacturing charge can fluctuate on an individual, case-by-case basis. Elements examined in the determination of the validity and legality of a Drug Cultivation charge exist in conjunction with preexisting factors, which include the biographical information of the suspect, pertinent case details with regard to the victims, and the examination of any past criminal records and/or history belonging to a suspect charged with committing Drug Manufacturing.